What does your current headshot tell your next client?.. Authentic headshots define your quality. They show your next potential client that you care enough to not cut corners. When you show them quality, they’ll expect quality from you. When you look trustworthy, approachable and relatable, your relationship has already begun. Authentic business portraits that appeal to your ideal client. If your headshot does not convey trustworthy, approachable or relatable the amygdala kicks in, and you’ve lost your potential client. Brian is a master at extracting the best expressions and advising on the best background for your industry. Featuring Lake Oswego’s City Council 2019-20. 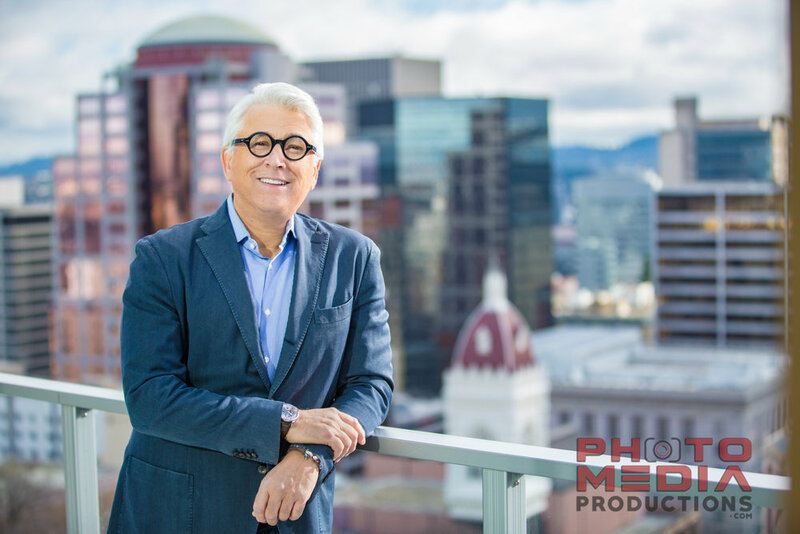 With our team headshot services in Portland metro, we allow enough time to come to you, and to shoot individuals as needed. Shooting on white, in-studio, we are able to edit in (or out, as others retire) Photoshopping them in or out. Brian has a knack for getting the full group in sync with the best smiles. This is why we show up in headshots near me searches for Tigard, Tualatin, Lake Oswego and Portland. Headshots are not about what you look like, rather who you are. Watch this short video on how our process works and what our headshot options mean. All other answers will come to you via email when you book. So many of our clients share that this was their first portrait experience in years, if not decades. This video should help take the edge off of what to expect after you arrive for your session. Our work has been featured on countless magazine covers, trade publications, and of course - inside those all-important voters pamphlets. Every election cycle, political mailers arrive that remind me that my work in the world is not complete. Incredible bullet-point qualifications and endorsements wrapped around an image that says "hmm... nice endorsements, but there's just 'that look' that calls trust into question...". Micro-expressions (those in-between looks) that truly matter, and can cost you a client or voter. Your styling, expression and context require a perspective that will appeal to vs. appall your next client. We serve many successful publishers, campaign, PR and marketing professionals. As your ally, we will execute your vision or accept as much creative license as you wish to give us. More than products and services, it's like having your own Custom Stock Photography - that won't show up on your competitor's website. I received a call from a web & marketing company that I hadn't yet worked with. "We just finished a beautiful new site for one of our clients near you, but received stock images that didn't match their personal, caring message." It's the same story from countless web and marketing professionals. "What usually takes the longest, is receiving the content to finish the work, and when we get it... Stock... Poor quality..."
Give us a call for an estimate on your project, and we'll give you the priority, quality, and an award-winning eye that a "hobbyist" cannot. (and we won't be reselling your images to your competitor). We've just added this page, so we've got a few of our own stock images to replace. SHHH!.. (the cobblers kids have no shoes, right? But I do finish these for my clients! : ^) See one-such example below, and click to see them in use by the Tualatin Park Veterinary clinic. The word I hear most during post-session proof-reviews. It rings like a favorable report card, and became my motivation for specializing in commercial imaging. To tell your story in a single, convincing image of who you are, and not just what you look like. CLICK FOR Business, Corporate & Executive Portraits. Editorial, Publication, Team & Lifestyle images.